I love you. Plain and simple, I love you. I intend to love you, and so I do. At first I didn’t know you, wasn’t sure how to love people I may or may not ever meet, or what that might feel/look like. In time, I’ve understood it doesn’t matter if I meet your or not; I love you the same, either way. Because we are one and the same. Because I love myself, and because I love all of my strengths and weaknesses. So, I love your strengths and weaknesses too. I love that you and I are here to do our best, every step of the way. There are times when we might let ourselves (or others) down, but we still give life our best shot. And most of what others might ‘not’ love about you, I really don’t care about or place any judgement. You see, that’s ‘stuff’, and stuff doesn’t equal love. Who you are — deep inside your eyes — is some combination of light, love, energy, and experience. And I can easily say that I love light, I love love, I love energy, and I love experience, both good and “bad”. Experience creates contrast, which creates memory and lasting feeling. 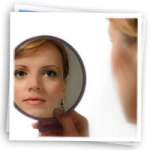 In some instances, feeling doesn’t respond well with your cells and creates a prolonged state of turmoil, meaning you won’t feel well until you take the actions you need to in order to grow. In other cases, the feeling is amazing and — through your memory — you can access it anytime you want. The first and most important step in learning to love you — without being able to meet all one million+ people who receive these messages — was setting an intention to love. What we focus upon, is. 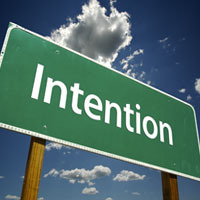 So if you really want your life to be amazing, your mornings to be full of energy, your body to feel incredible, your relationships to be beautiful, and your love life to be fantastic, then I suggest you set an intention; once you’ve set an intention, make it real through your imagination, then follow with action. 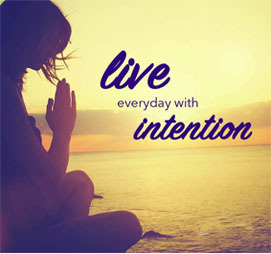 Live your life with intention, and you will intentionally create your ideal life. 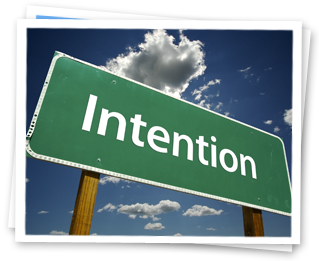 Live your life without intention, and you will inevitably live differently than you want, all because you never asked for — and focused upon — finding clarity. 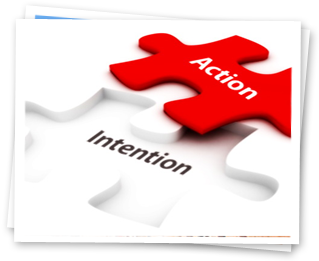 If setting an intention means thinking through what you want from a situation — or your life — and then asking for it, what will you ask for today? And are you ready to receive the gift(s) you request?